Linsanity will have an impact on Harvard admissions statistics. The data supports this projection (photo credit: David Shankbone). 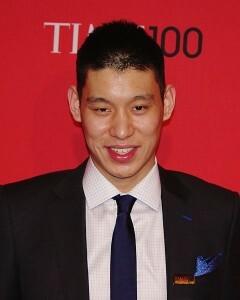 Do you think Harvard admissions statistics will be impacted this spring by Linsanity? Do you think the university’s yield will be through the roof? Do you think more applicants will apply to Harvard next year than ever before? And, if so, do you think star New York Knicks point guard Jeremy Lin has anything to do with it? At Ivy Coach, we do! We know applications to Duke rise as they advance further in the NCAA Tournament (guess applications won’t increase next year…sorry Duke). And remember Jim Larranaga’s George Mason squad? We wrote extensively about the impact Mason’s Final Four run had on its admissions statistics. The average SAT score of applicants went up by 25 points. And so many more students ended up applying to the Virginia school. Drew Faust, the Harvard president, believes like us that Harvard’s admissions statistics will reflect Linsanity. And the research by Jaren and Devin Pope, research we’ve referred to quite a bit over the years, supports Faust’s claim. Big basketball or football runs matter. A Harvard graduate competing on the biggest stage in basketball — that has to count for something. And for those of you who think Jeremy Lin is going away now that Mike Woodson is at the helm of the Knicks, think again. Jeremy Lin may be taking fewer shots, but he’s playing as good as ever. Linsanity is for keeps. If anyone’s going to have to adjust, it’s ‘Melo.